You’ve decided it’s time you finally take a family vacation! The kids are older now, in elementary school and more self-sufficient. You’re less worried about them surviving a long haul flight or wandering off without you. They’re curious about life in general and you know they’ll remember not only the family vacation, but the cultures, food, and experience of a traveling to a different country. The only problem now is deciding where in the world to go with your school-aged children! 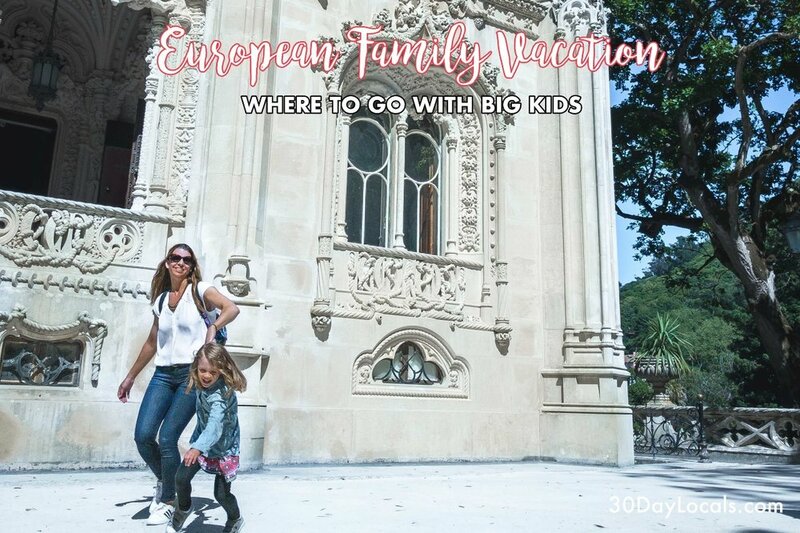 If you have babies, toddlers, or preschoolers, check out this post for European vacation ideas. For first time international travel, Europe makes a great destination for Americans. You can see multiple countries, with distinct characteristics, within close proximity to each other. The visa requirements are easy - you simply get a stamp in your passport upon arrival that’s valid for 90 days. The flight there is not too long - you can sleep on the way there and watch a few movies on the flight home. It’s amazing how quickly kids adjust to the time change. But, how do you pick which city to go to when there are so many possibilities? These are the places we recommend visiting in Europe with a school-aged child based on our experiences and research. Zurich - Although this is Switzerland’s largest city, it is not the capital (that honor goes to Bern). However, Zurich is known as the business capital of Switzerland and it is a beautiful city set on the banks of the Limmat River. If your family loves views, you can ride the 1889 red Polybahn cable railway up to the ETH university campus for a super panorama of the city. Lucerne - I’m not sure a trip to Switzerland would feel complete for our family without a stop in Lucerne. The town is not too big so exploring here can easily be completed in half a day. The major highlights are the wooden bridge (Kapellbrucke) and the Lion Monument, which is a carving in the quarry wall which serves as a monument to the Swiss mercenary soldiers who lost their lives during the French Revolution. A mountain top - If you are visiting Switzerland, you must get to a mountain top. It does not need to be Jungfrau or Matterhorn, but do yourself a favor and get to at least one peak. The views are breathtaking, there are generally activities for children at the top like playgrounds, and it’s a wonderful place to have a picnic lunch. And while the Swiss do like a good hike, the cable car or train ride up to the top is a ton of fun too. You can usually hike down if that is your thing. Montreux - This beautiful town is nestled on Lake Geneva and is home to Chillon Castle, which is Switzerland’s most visited historic site. Out of all of the castles we have visited in Europe, this is our favorite. There is also a monument to Freddy Mercury as well as an exhibit where you can visit the recording studio Queen used to record some of their final hits. Basel - Located near the border of France and Germany, Basel offers a cultural melting pot and wonderful place to explore with kids. There is a well-preserved medieval city, streets lined with 15th century half-timber houses, motor-less ferries across the river, and a beautiful zoo. Also close by is Augusta Raurica - an active archeological site that is the oldest known Roman colony on the Rhine. Start your family vacation to Switzerland research here with a look at hotel recommendations and flight options. The capital of Portugal stole my heart when we visited this year. It felt reminiscent of past travels, being a combination of San Francisco and Rio de Janeiro, but still classically European. The other plus to Portugal is the price. It is definitely more affordable than Switzerland. Kids will enjoy activities like riding in trolley cars, visiting the large aquarium, and going to the beach while the whole family will enjoy eating at the Time Out Food Hall. All in all, Lisbon was an absolute highlight from our summer in Europe and I am still trying to figure out why is it not higher up on must-see travel lists. Start your family vacation to Lisbon research here with a look at hotel recommendations and flight options. Located on Italy’s Ligurian coast, Cinque Terre is an absolutely breath-taking collection of 5 cities resting on the sea. One of the most fun things to do is to explore each of the 5 cities which you can reach by train, boat, or via hiking trails. Cars are not permitted in the towns themselves, although you can drive between them and walk in after parking higher up. When we first visited Cinque Terre in the fall of 2012, the hiking trails were closed due to a previous mud slide, but we managed to see 4 of the 5 towns on our short stay. We are looking forward to returning to the area with our daughter and exploring the trails, the delicious food, and lovely beaches. Start your family vacation to Cinque Terre research here with a look at hotel recommendations and flight options. London is quite an easy country to travel to at anytime with children. The language barrier is almost non-existent (you may have a hard time with accents) and the flight is among the shortest to Europe. The capital city of England could easily be on our list of cities to visit with babies, but we’ve included it here because you can get more educational bang for your buck when you visit with older children. Visiting London with school-aged children will allow you to explore the history between our two countries, discuss Shakespeare on an entry level, enjoy afternoon tea, play in the many parks, and revel in the many museums (most of which are free). You can even go horseback riding in Hyde Park. 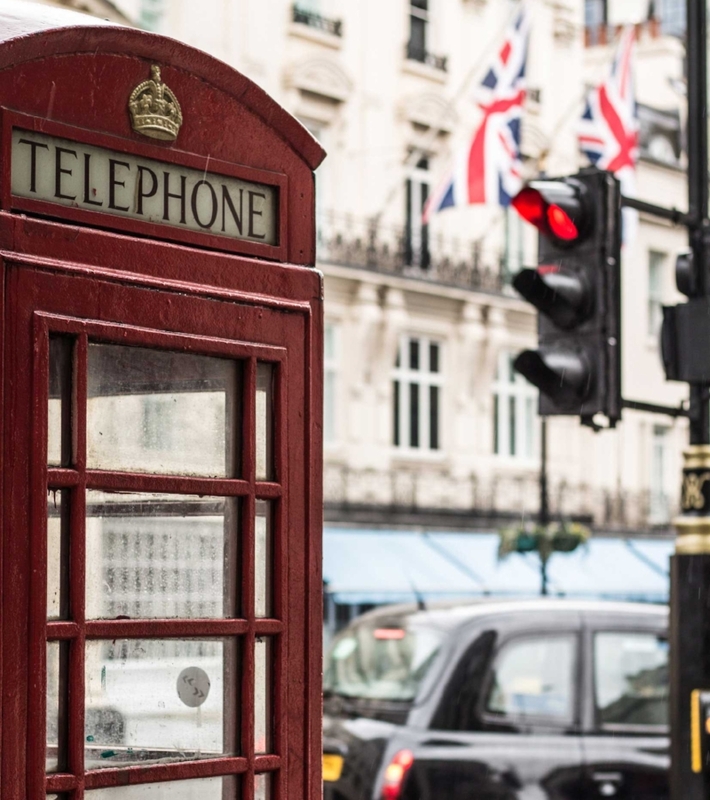 Start your family vacation to London research here with a look at hotel recommendations and flight options. While our 5 year old daughter enjoyed Prague, her favorite part of the city was the model train restaurant. Older kids will enjoy that too as well as activities like Segway tours, the Prague Castle at night, puppet shows, and of course the Astronomical Clock. Prague is a beautiful city and even though it is the capital of the Czech Republic prices are not as high as some other major cities. Parents will relish the inexpensive, but well made beer and the kids will love the trdlenik pastries. Visiting Prague with older children will also give you the opportunity to discuss the Lennon Wall and take in the Museum of Communism, where you can see what life was like for families during the Soviet era. Start your family vacation to Prague research here with a look at hotel recommendations and flight options. In the end, children can travel with you where ever you want to go in Europe. There is so much to see, a plethora of history, great food, playgrounds everywhere, good transportation, and it’s easier than ever to get there. Factor in the safety aspect and it’s easy to see why Europe it is so popular for family vacations. If you’re worried about the flight, don’t stress too much about it. We have even written about our tips for over coming jet lag with kiddos and how the anticipation of the flight is much worse than the actual thing. 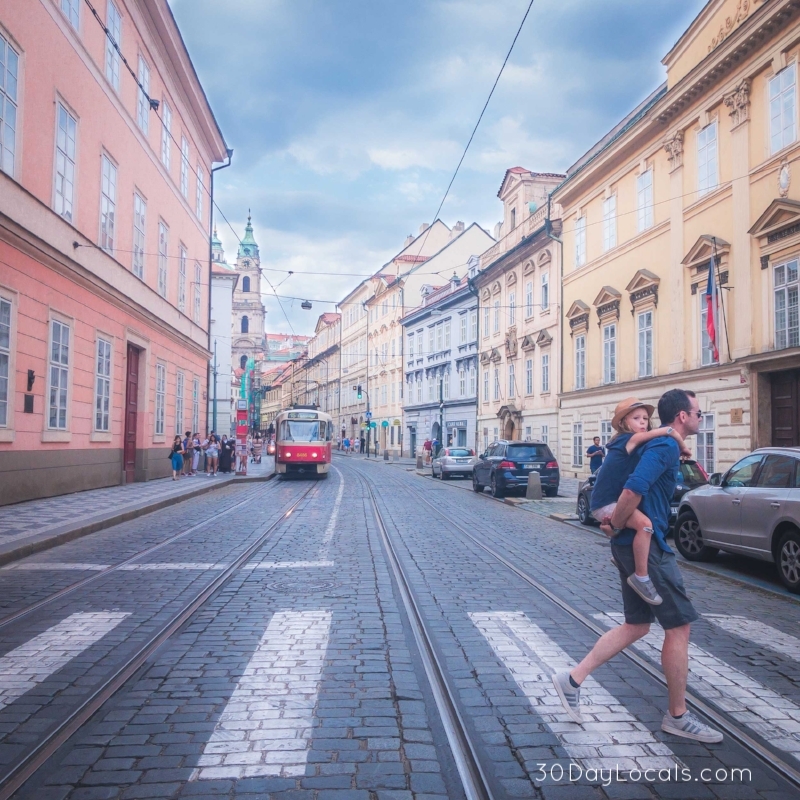 The flight will be over before you know it and soon you’ll be exploring the cobblestone streets, sipping cappuccinos, and listening to your child’s squeals of delight in the parks.